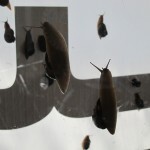 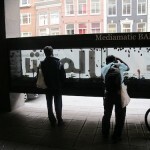 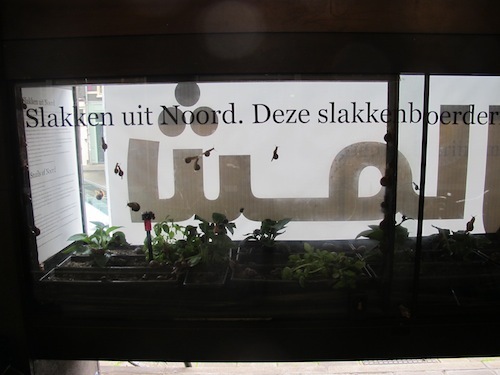 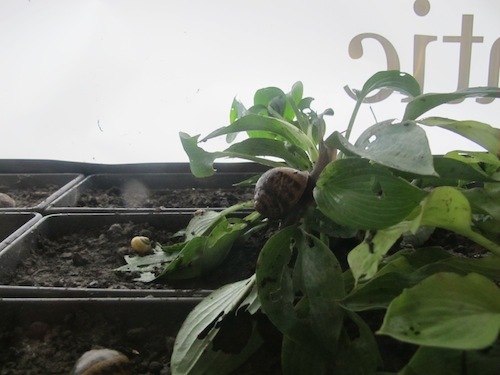 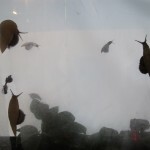 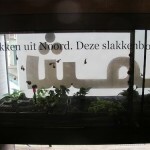 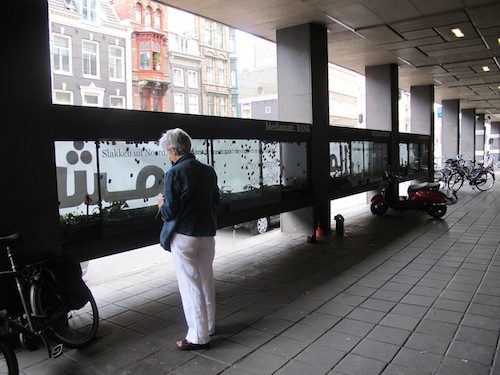 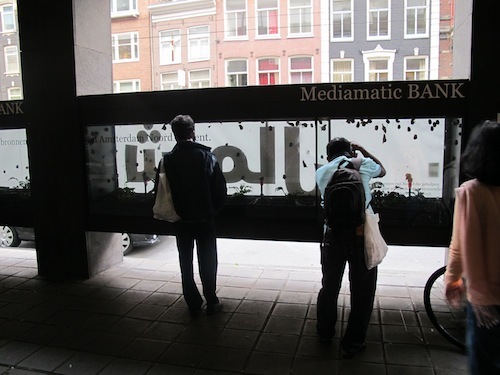 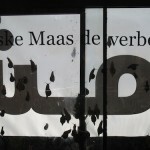 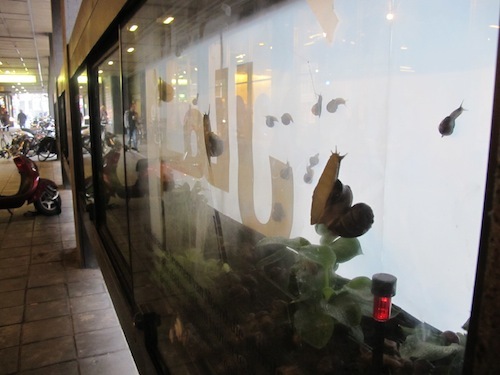 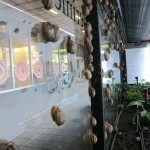 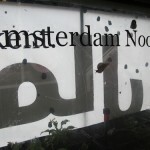 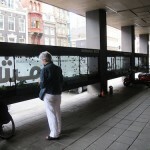 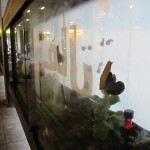 SIDEWALK SNAIL FARM was installed in the former ABN Amro bank vitrines on the busy Vijzelstraat, Amsterdam. 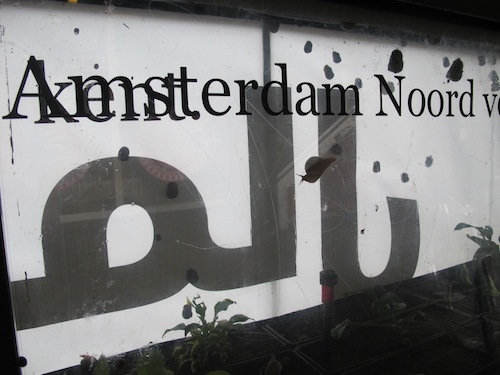 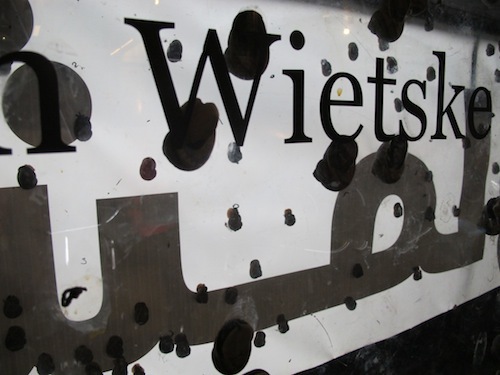 The farm was set up as part of NOORD a Mediamatic exhibition mapping the northern-most district of Amsterdam. 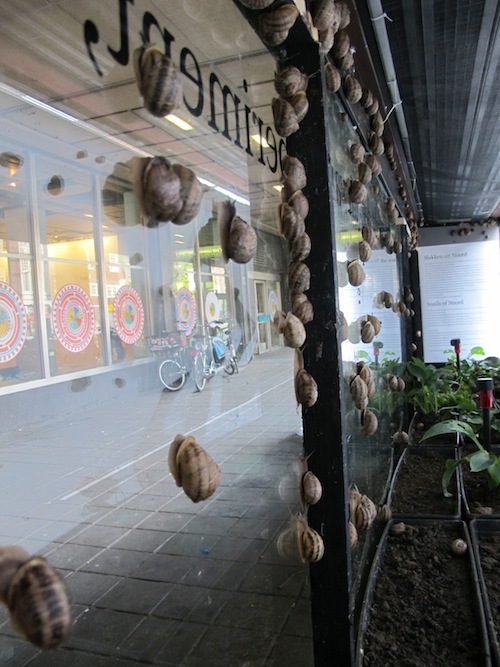 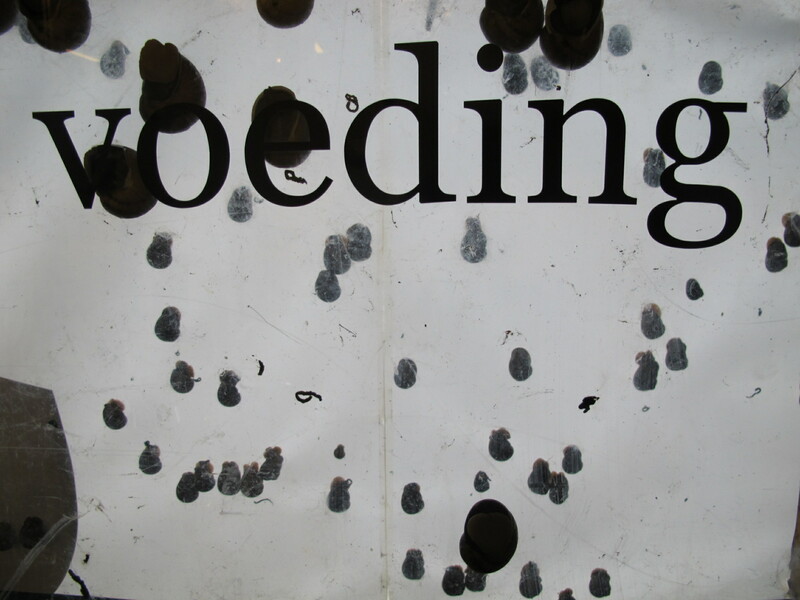 The snail farm, observable by all passing pedestrians was a living and breeding ground for 1400 snails and a gastronomic experiment which explored the hidden nature and potential food sources of Amsterdam Noord. 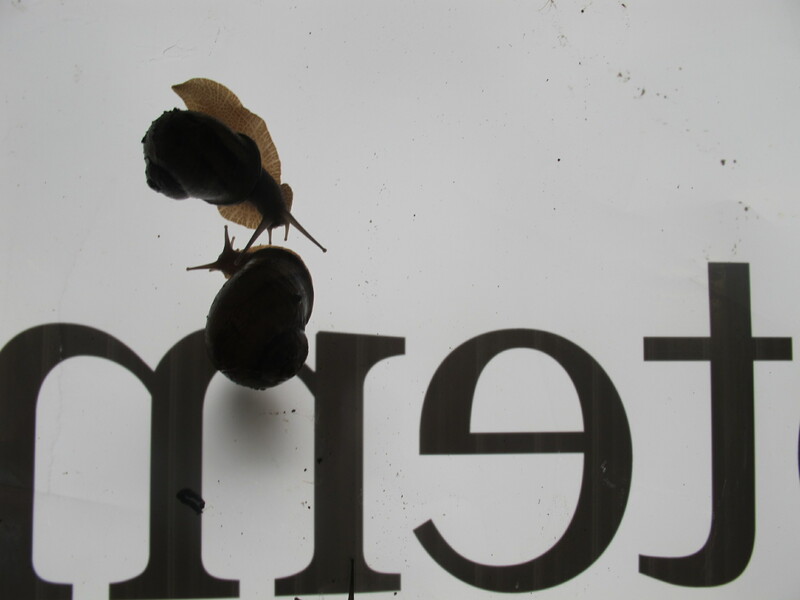 The middle sized ones are the E: common garden snail, D: Segrijnslak, L:Helix aspersa petit gris. 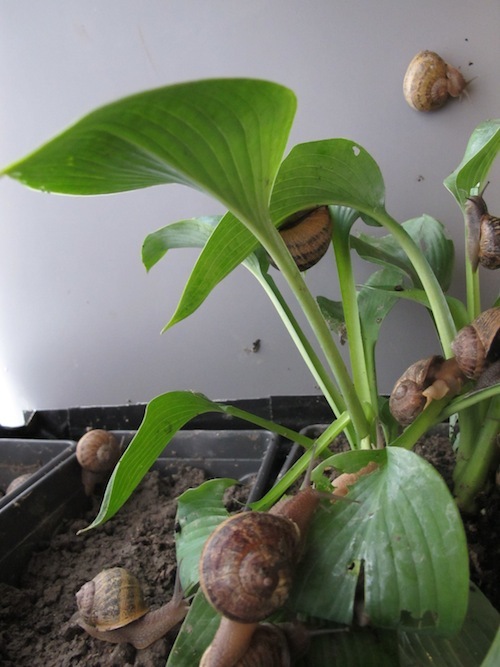 These are the same family as the French ‘escargot’. 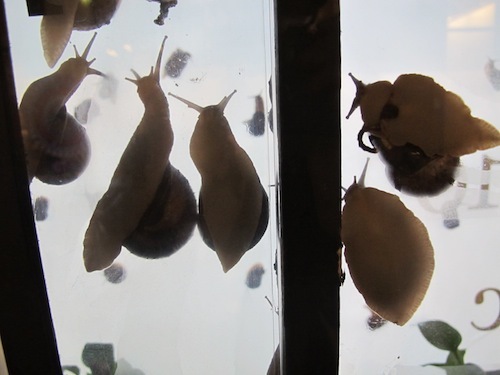 And the biggest lads are the ‘Blond des Flandres’ L: Helix aspersa gros gris, which were supplied by Arthur Kerckheart a snail farmer from Amsterdam Noord. 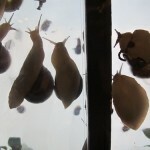 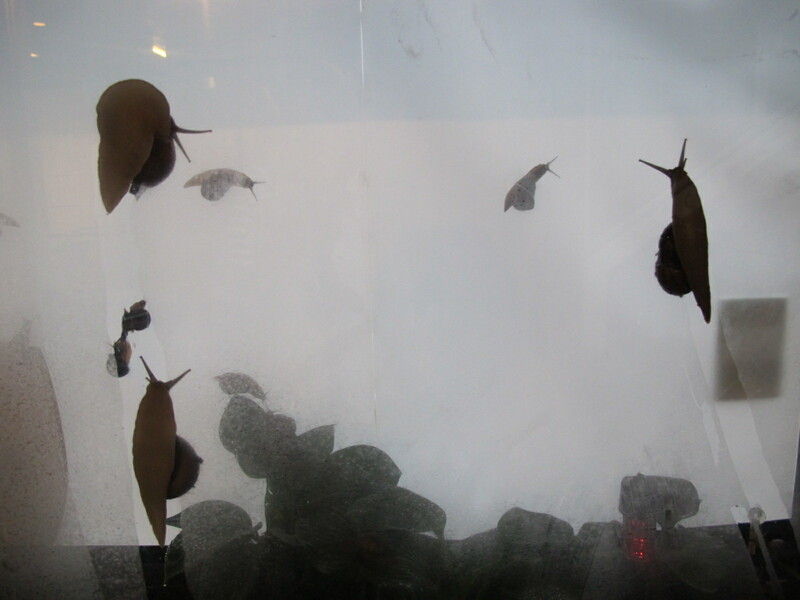 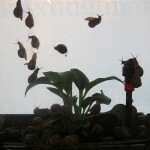 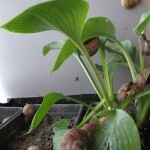 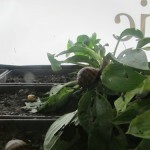 Before being deposited into the bank vitrines, the snails were put on a 2 day fast to cleanse them of impurities. 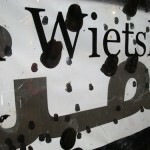 Throughout the course of the exhibition they were fed vegetation, succulent greens such fennel and earthy roots and mushrooms harvested in Noord giving a very local and seasonal flavour to their flesh. 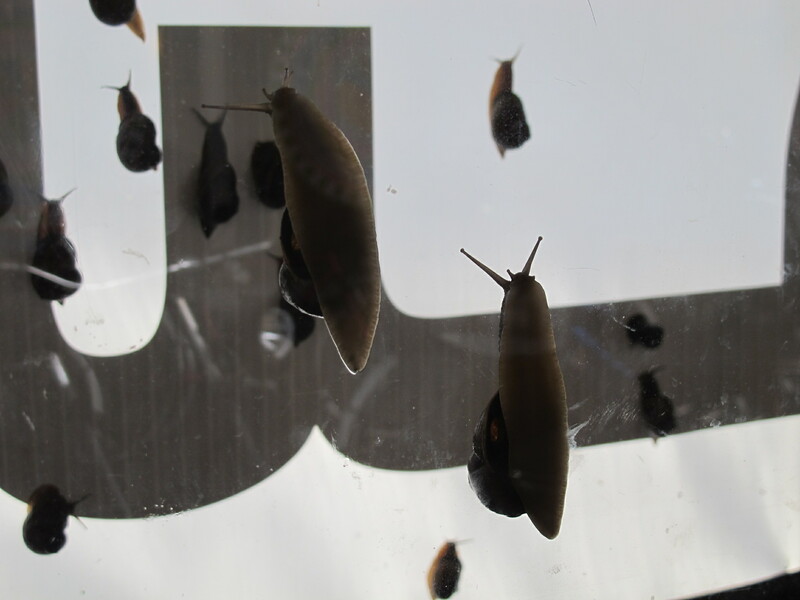 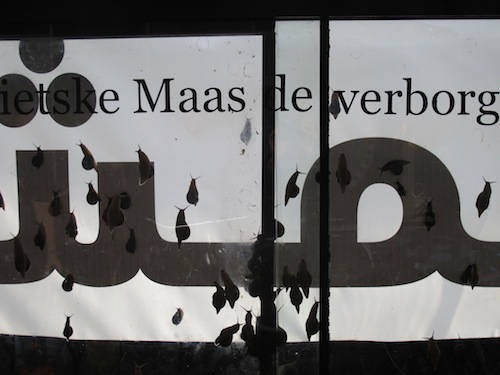 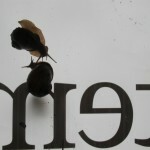 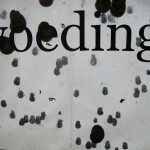 On 9 October 2010, after 3 weeks of ‘purgatory’, the snails were eaten as part of a convivum ‘De Maag als Kompas’ (The stomach as compass) made in collaboration with cook Sander Overeinder of restaurant As. 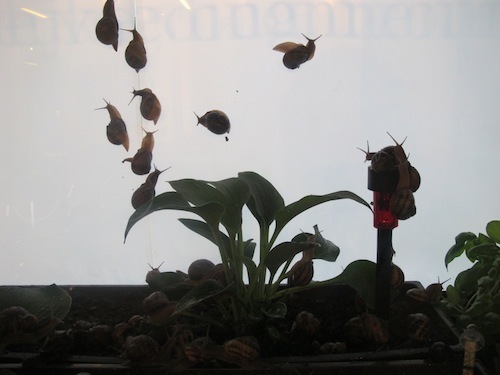 With special thanks to Arthur Kerckhaert, snail farm consultant and to Tello Neckheim, Amsterdam-based malacologist and author of the book Van Nonnetje tot Tonnetje, and to everyone who helped hunt the snails: gardeners, friends, groups of school children, allotment gardeners from the volkstuin Buitenzorg.